Here's Securus's game: It and other price-gouging phone companies collude with jail and prison authorities throughout the U.S. to overcharge inmates and their families for phone calls and "in-person" video conferencing even when visitors travel to the jail. Since mid-2014, three separate lawsuits have been filed against Securus, directly pertaining to its practice of requiring jails to eliminate in-person visits in favor of video visits. The video visits cost as much as $20 for a 20-minute video call -- and the jails typically receive a commission on each call. In a statement on Monday, Securus chief executive Richard Smith said the company has amended its contract language so that it will no longer obligate jails to remove “person-to-person contact” in favor of its video technology. Securus shares the revenue with generous kickbacks to keep greedy county sheriffs happy and under contract. The legalized swindle has gotten so bad that in October the Obama Administration convinced the FCC to cap the cost of phone calls between prisoners and their families, which can cost as much as $14 per minute. The materials — leaked via SecureDrop by an anonymous hacker who believes that Securus is violating the constitutional rights of inmates — comprise over 70 million records of phone calls, placed by prisoners to at least 37 states, in addition to links to downloadable recordings of the calls. The calls span a nearly two-and-a-half year period, beginning in December 2011 and ending in the spring of 2014. To make matters worse, the 14,000 calls in Securus's database between lawyers and prisoners may not be the complete extent of Securus's likely illegal behavior. Those calls were identified by the hacker by cross referencing lists of call records kept by Securus and lists of law firms and do not include calls made to lawyers on their personal cell phones. Any of the recorded (or monitored) conversations which took place between an inmate at those 13 Nebraska facilities and is documented in the hacked records could be the basis of a suit by the ACLU or anyone else on behalf of a prisoner or attorney with standing. All of which could prove to be very expensive to taxpayers in the jurisdictions of quick-buck Nebraska county sheriffs who play ball with a predatory corporation at the expense of a captive audience of impoverished inmates and their families. Days after Houston voters overwhelmingly repealed that city's LGBT protections, 77% of Dallas voters approved such protection. Convention planners should take note. his disturbing rhetoric at Omaha's "beautiful Legacy Hall"
Legacy Hall also solicits wedding receptions, so if you and your spouse-to-be really, really despise homos, consider yourself informed of a primo, local, hater-friendly venue at which to celebrate your forthcoming nuptials. Below, at last weekend's Des Moines conference, Kayser engaged in some more class slander, comparing homosexuality to murder and issuing a sinister warning that this "cannot be ignored." Three GOP candidates, Bobby Jindal, Mike Huckabee and Ted Cruz, attended the conference. When asked by ABCs Jake Tapper about Kevin Swanson's violent rhetoric, Cruz claimed (or feigned) ignorance about what Swanson "did or didn't" say. Below: Omahans protesting UNO's hosting of Pastor Kayser in 2012. When pressed, UNO disassociated itself with the actions of the UNO Alumni Center, despite the fact that UNO's logo appears on signage designating the alumni center and despite the fact that AKSARBENT's video clearly showed a UNO campus security truck guarding Kayser and his violent religious rhetoric from half a dozen protesters who were a block away, across Omaha's busiest street. In 2012, the Heritage Coalition, an organization of right-wing churches lobbying against the addition of LGBTs to Omaha's equal protection classes, published a roster of supporting clergy and dishonestly included Phillip Kayser among those who "condemn violence or hatred perpetrated against anyone based on their sexual preference." Becky McGraw, a New York Times bestselling writer, was alerted by one of her readers about the similarities between her own novel My Kind of Trouble, in which Cassie Bellamy falls for bad boy Luke Matthews when she returns to her hometown of Bowie, Texas, and Laura Harner’s Coming Home Texas, in which Brandon Masters falls for bad boy Joe Martinez when he returns to his hometown of Goldview, Texas. 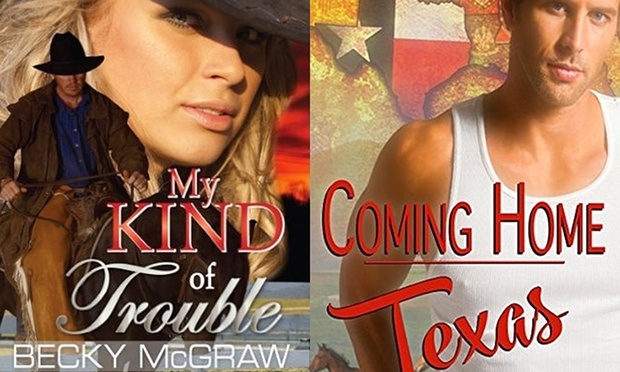 “She emailed to ask if I’d started writing gay romance under a pen name,” said McGraw, whose editor subsequently reviewed both books, and highlighted the similarities. Did antigay Mets player cost NYC a World Series title? Mets' second baseman Daniel Murphy's bat propelled his post season team into the 2015 World Series with a record seven home runs, but once there, his eighth-inning game four error let KC tie the game it went on to win — the 6th costliest fielding screw-up in Series history, wrote August Fagerstrom. Murphy’s error, in terms of single-game win expectancy, was the most costly fielding mistake by any player in World Series history, save for Boston’s Bill Buckner... In the blink of an eye, Murphy’s error reduced the Mets’ odds of winning the World Series by 13%. "I disagree with his lifestyle," Murphy said. "I do disagree with the fact that Billy is a homosexual. That doesn't mean I can't still invest in him and get to know him. I don't think the fact that someone is a homosexual should completely shut the door on investing in them in a relational aspect. Getting to know him. That, I would say, you can still accept them but I do disagree with the lifestyle, 100 percent."